Yarn Type SALE 30% OFF! A dramatic space-dyed yarn with a glistening copper metallic thread and neps. Giselle has a 43% wool, 43% acrylic, 14% metallic polyester blend, meaning that it is the perfect combination of wooliness and metallic to be both warm and glamorous this winter. It has a gorgeous design package for women and girls that includes lace, cable and stocking stitch hand knits, as well as crochet designs. Giselle is machine washable on a delicate wool cycle and knits to all Sirdar Aran designs. 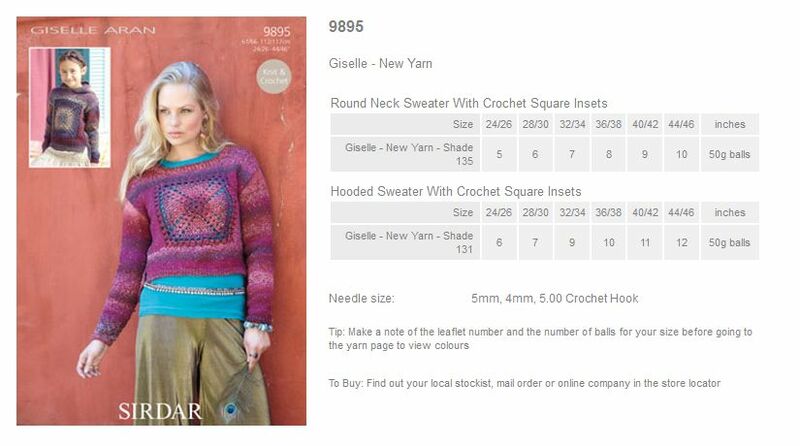 16 stunning hand knit and crochet designs for women & girls using Sirdar Giselle Aran. Leaflet with designs for a Triangular Crochet Shawl and Twirly Crochet Scarf using Sirdar Giselle Aran. Leaflet with designs for a Round Neck Cardigan and V Neck Cardigan using Sirdar Giselle Aran. Leaflet with designs for a Long Sleeved Cardigan and Short Sleeved Cardigan using Sirdar Giselle Aran. Leaflet with designs for a Chanel-Style Jacket using Sirdar Giselle Aran. 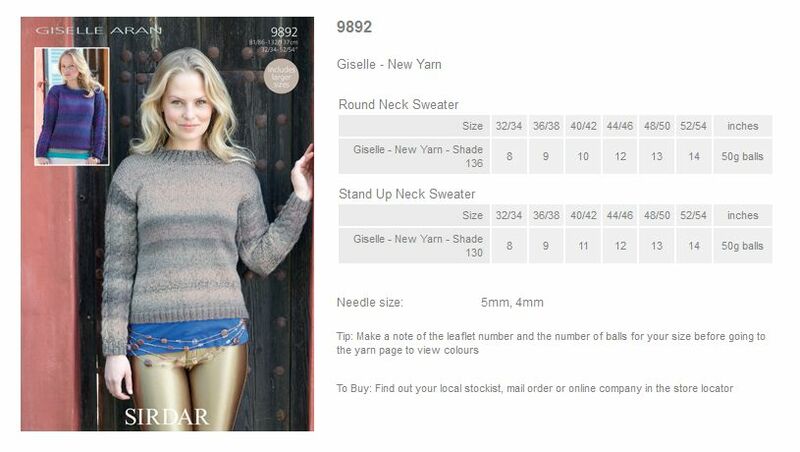 Leaflet with designs for a Round Neck Sweater and Stand Up Neck Sweater using Sirdar Giselle Aran. 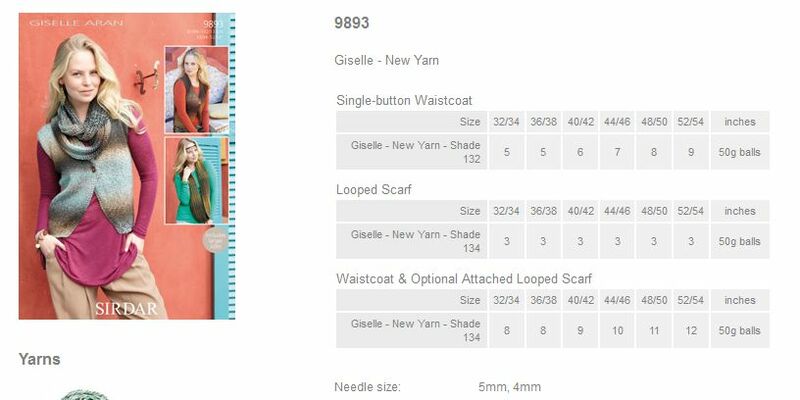 Leaflet with designs for a Single-button Waistcoat, Looped Scarf and Waistcoat using Sirdar Giselle Aran. Leaflet with designs for a V Neck Cardigan and Flat Collared Cardigan using Sirdar Giselle Aran. Leaflet with designs for V and Round Neck Sweaters with Crochet Square Insets using Sirdar Giselle Aran.